Prior to Hitler’s occupation, nearly 120,000 Jews inhabited the areas that would become the Protectorate of Bohemia and Moravia; by 1945, all but a handful had either escaped or been deported and murdered by the Nazis. 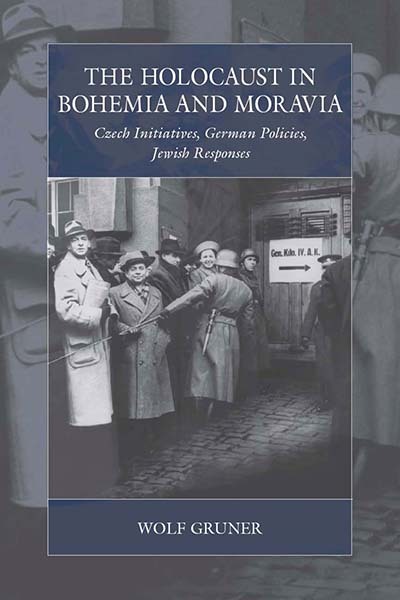 This pioneering study gives a definitive account of the Holocaust as it was carried out in the region, detailing the German and Czech policies, including previously overlooked measures such as small-town ghettoization and forced labor, that shaped Jewish life. Drawing on extensive new evidence, Wolf Gruner demonstrates how the persecution of the Jews as well as their reactions and resistance efforts were the result of complex actions by German authorities in Prague and Berlin as well as the Czech government and local authorities. Wolf Gruner is the Shapell-Guerin Chair in Jewish Studies and Professor of History at the University of Southern California, Los Angeles, where he is also the Founding Director of the USC Shoah Foundation’s Center for Advanced Genocide Research. He is the author of nine books on the Holocaust.